Pictured above is the headquarters of Information International Associates on Union Valley Road in Oak Ridge. 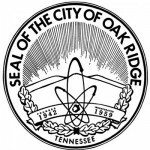 Information International Associates has won a five-year contract worth up to $24 million to provide information technology support to Oak Ridge National Laboratory. The contract includes a one-year base and four one-year options. IIa will lead a team that includes Science Applications International Corp. and other partners with special capabilities, including Qbase, CADRE5, and EMC2 Corp., a press release said. The work will include application development, systems administration, cyber security, help desk support, and data center management. Franciel Azpurua-Linares, who has been managing IIa tasks for ORNL for more than 13 years, is the project manager. IIa announced the new contract, which has already gone into effect, on Thursday. Initially, he said, roughly 16 people who have been working at ORNL for another contractor could come to work for IIa and SAIC. Founded by Carroll in 1988, IIa has headquarters on Union Valley Road in Oak Ridge and a field office in Falls Church, Va. SAIC has 38,000 employees worldwide and established its Oak Ridge office nearly 40 years ago. The company is based in McLean, Va. CADRE5 is based in Knoxville, Qbase is based in Ohio and Washington, D.C., and EMC2 is based in Arizona, the press release said. The new contract was announced just four months after the U.S. Department of Defense awarded IIa a $24 million contract to operate a DOD Homeland Defense and Security Information Analysis Center. IIa also supports DOE Office of Scientific Information (OSTI) operations in Oak Ridge and at DOE Headquarters in Washington, D.C.
IIa’s new ORNL and DoD contracts, along with its ongoing work for OSTI and Arnold Engineering Development Center in Tullahoma, are responsible for the direct employment of nearly 100 people in Tennessee, the press release said.